Additional screenings added by popular demand! 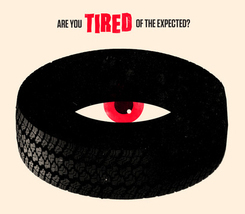 Since the word first broke online that Rubber was "the movie about the tire that kills people," this film has become infamous. Straddling art film and horror, Rubber has the most outrageous premise of any film this year (or ever!). Directed by Quentin Dupieux (the real name of legendary DJ Mr. Oizo, who scored the film with his trademark blend of Euro electro house beats), the movie combines deadpan humor with astute meta-commentary on genre, filmmaking and the cinematic experience. Robert is a tire who is angry at the mistreatment of his brethren by humankind and determined to exact vengeance. Unfortunately for motorists and inhabitants of Arizona, this tire has come to life endowed with enough telekinetic power to explode human heads at a distance. Official Selection of the Cannes Film Festival, Rubber is a smart and riotously funny treat for audiences in the US lucky enough to catch this limited release.